Campus tours are a perfect way to see what the University of Plymouth has to offer and acts as a fantastic alternative to open days. Plymouth is a vibrant City, offering a cosmopolitan feel with a relaxed seaside ambience. The University is located within a few minutes’ walk to the town centre where many eateries and well known retailers are located. We are ten minutes’ walk from the historical Barbican and Pilgrim Father's Mayflower Steps and only a short drive to Dartmoor. Cornwall is also within 15 minutes’ drive where fabulous beaches await your visit, including Newquay and St Ives. Campus tour – supervised or self guided? Escorted campus tours operate on a fortnightly basis and are held on a Wednesday. Book your place on a tour. If you can't make an escorted campus tour, you can download a self-guide booklet, and can look around the University by yourself. This tour does not require a booking form. Unfortunately, our campus tours do not include academic and/or departmental visits. If you would like to make a request, you will need to email studentrecruitment@plymouth.ac.uk detailing the course, date and time. Please note, we cannot guarantee that your request will be successful due to timetabling and course commitments. If we cannot provide a dedicated subject specific visit, please send all queries to the above email address and we will seek the answers to your questions. If you have a question for a current student regarding a specific course or life in general at the University of Plymouth, please email studentrecruitment@plymouth.ac.uk. 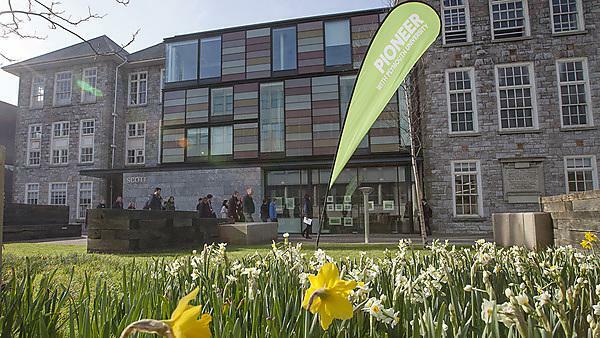 If you have a question for an academic regarding a specific course at the University of Plymouth, please email studentrecruitment@plymouth.ac.uk. Check out these FAQs to help you decide what's right for you. Visiting us at an open day or applicant day is the best way to get a feel for the University and the city itself. Student ambassadors and members of staff will welcome you to the campus and help you get the most out of your visit.